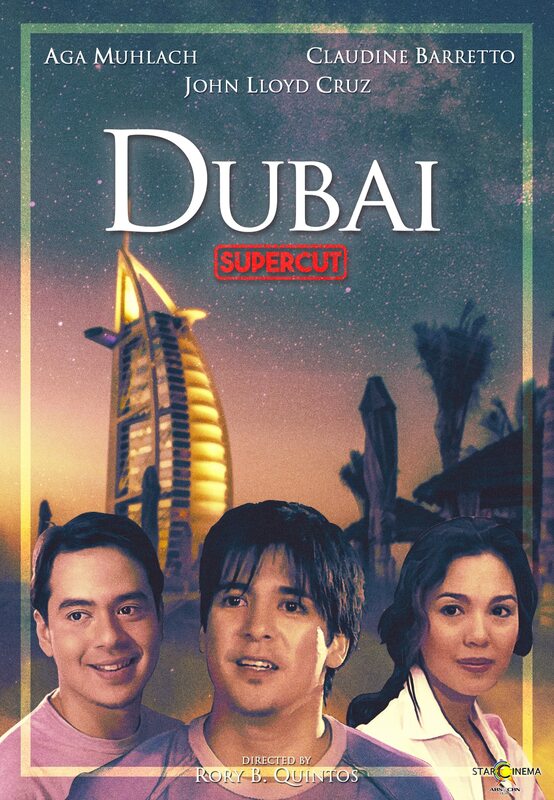 The story of Aga Muhlach, John Lloyd Cruz, and Claudine Barretto, in "Dubai" represents the choices we make in life and in love. This 2005 drama movie revolves around the dreams of two siblings, Raffy (Aga) and Andrew (John Lloyd), the woman who tested their relationship Faye (Claudine), and the hows of the OFWs working in the Middle East as well. In pursuing their dreams as siblings and as people, Raffy and Andrew discovered what they can sacrifice in order to protect each other. "Dubai" also starred Michael De Mesa, Dimples Romana, Pokwang, Phoemela Baranda, and more. It was directed by Rory B. Quintos. Catch Aga and Bea Alonzo in "First Love" directed by Paul Soriano, and produced by TEN17P together with Star Cinema and Viva Films. It is now showing in 225 cinemas nationwide.